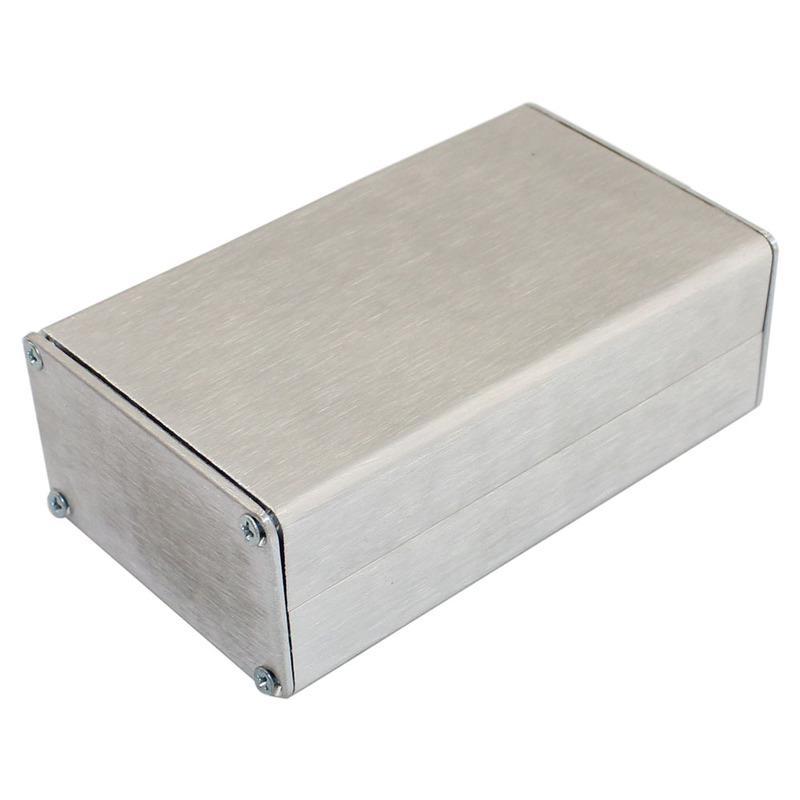 Split-Body Extruded Aluminum Enclosure - 4.3" x 2.61" x 1.54"
Enclosures bodies are fabricated from extruded aluminum with internal slots which are designed to accomodate printed circuit boards of up to .070" thick. 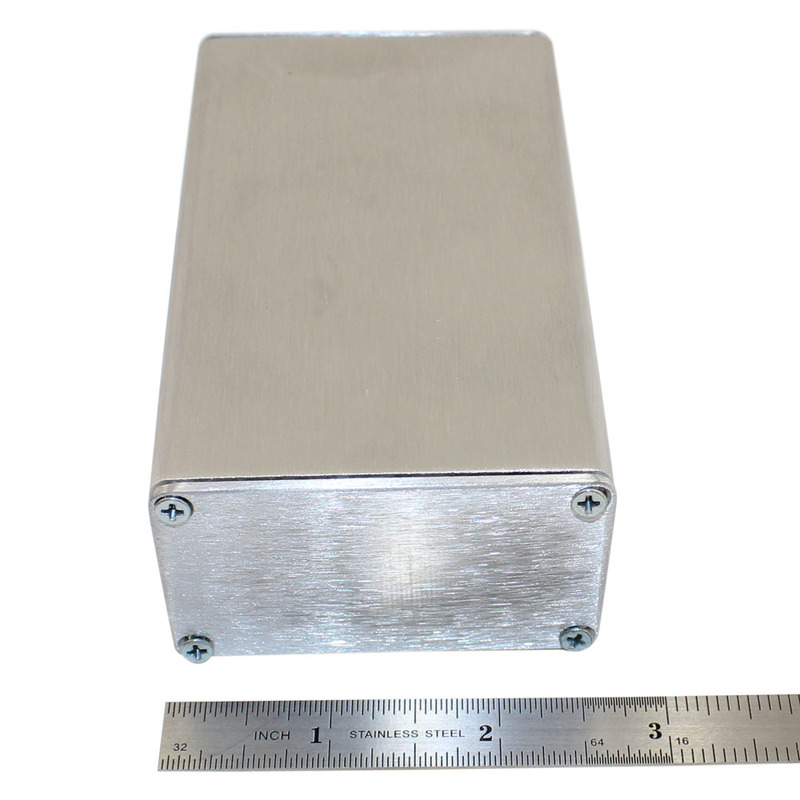 The Split Body design is a 4-part enclosure. 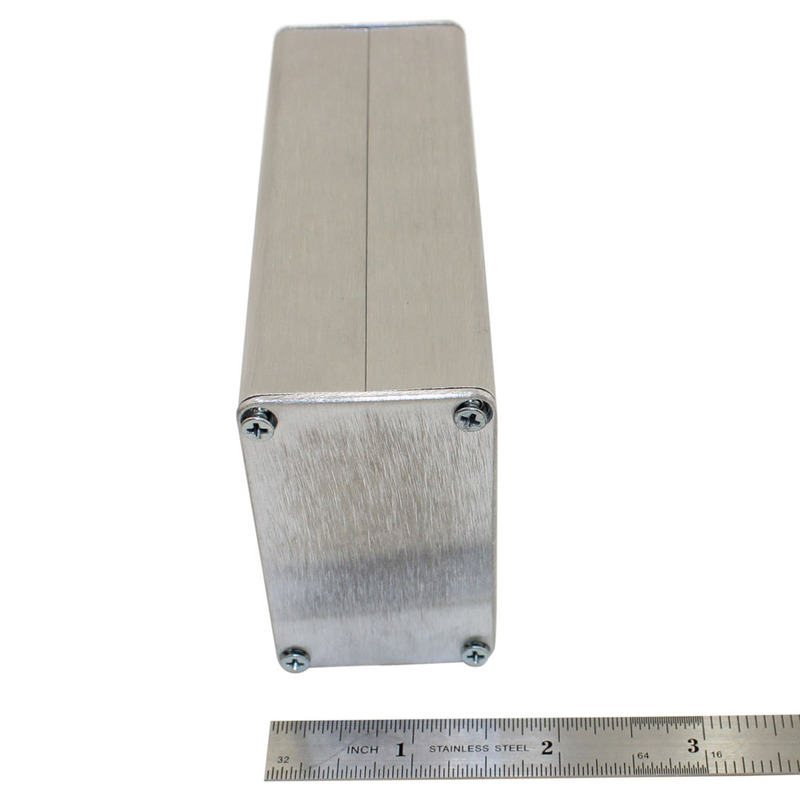 The top and bottom halves are extruded aluminum, with interior slots to hold circuit boards. 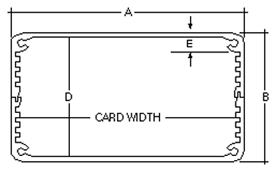 These parts are completely interchangeable, and fit together with a tongue on one side and a slot on the other. 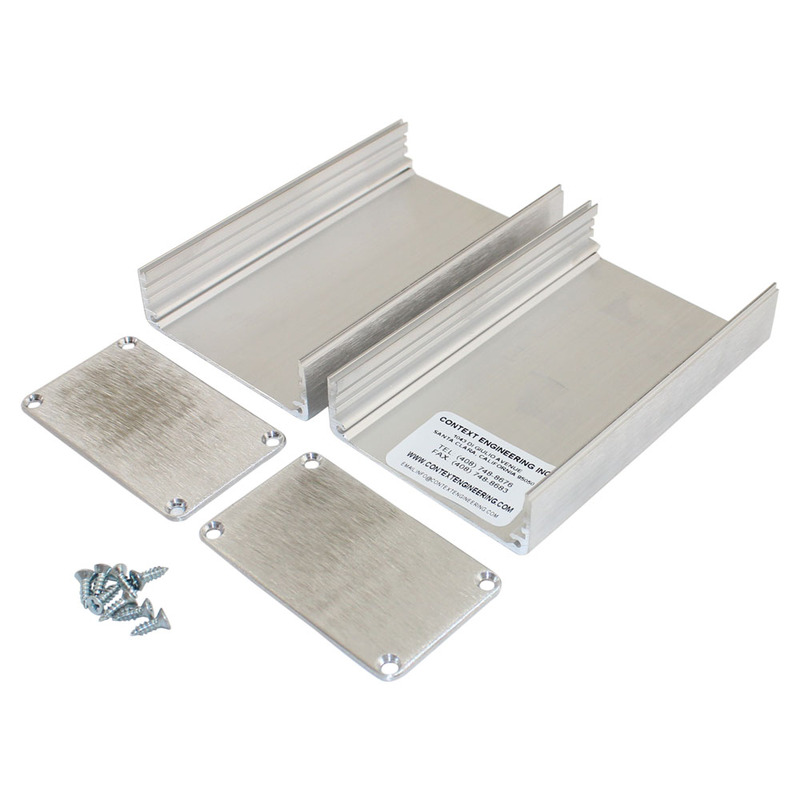 The end caps have four mounting holes and are affixed to the extrusion with self-tapping screws. 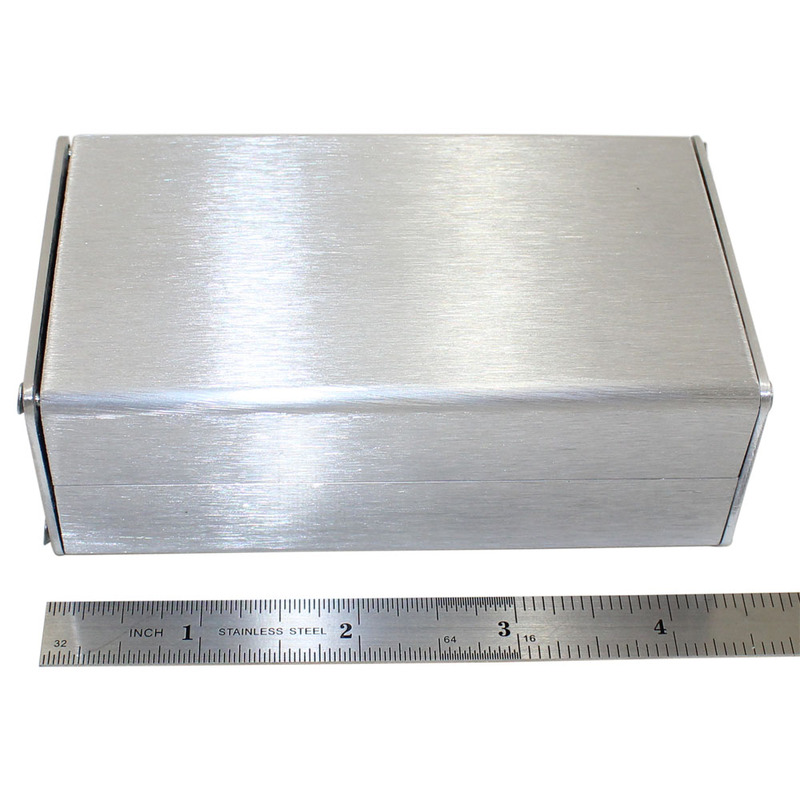 Enclosure Size: 4.3" X 2.61" X 1.54"